JIRACOR, is a prime contractor under the Navy’s SeaPort-NxG. This MAC ID/IQ is managed by the Naval Sea Systems Command (NAVSEA). The services included in SeaPort Next Generation are broadly categorized into engineering services and program management services. As our team is issued Task Orders they will be added to this section. 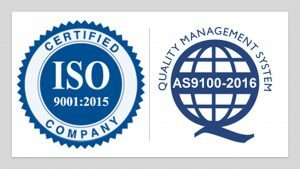 Quality is part of our everyday routine; it is part of our culture, the way we work, and why we take pride in what we do. 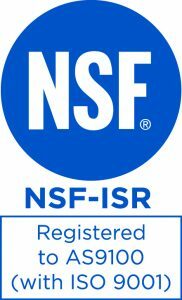 As a Small Business, we went the extra step in certifying to ISO 9001:2015 and AS9100:2016 Rev D quality certifications which reinforces to our customers and employees that JIRACOR is committed in providing the best possible service and value to meet current and future business needs. The JIRACOR Seaport NxG Team provides experience, professional technical services and solutions that combine defense, intelligence, and government domain expertise with strong capabilities in engineering, program and business management, and cyber / intelligence to support the cost-effective execution of services and programs within Engineering and Program Management in response to task orders issued under the Seaport NxG contract. At Cubic Global Defense, we develop innovative and realistic training solutions for the United States and allied forces in more than 35 nations. Leveraging decades of experience and cutting-edge technologies, we help our customers effectively equip and train warfighters and law enforcement personnel, in turn making the world a safer place. Training proficiency is essential for warfighters and law enforcement who must be prepared to face new threats daily or emerging threats. 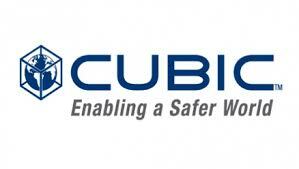 Cubic’s NextTraining™ provides innovative solutions for improved performance-based training, scalable training architectures, air combat training, and high-fidelity combat training centers. These solutions deliver critical warfighting skills necessary to achieve mission success in combat under the most unforgiving conditions and against the most determined adversary. Andromeda Systems Incorporated provides unparalleled expertise and capabilities in the Reliability, Maintenance, Supportability, Engineering, and Logistics disciplines. Our staff of nationally and internationally recognized leaders are shaping industries and developing revolutionary solutions to improve physical asset management. Leverage our experience and cutting-edge analytical tools to improve asset performance and reduce life-cycle costs. Our team of engineering, supportability, information technology, and maintenance experts, will partner with your organization to develop an optimum maintenance and support system that will reduce cost and maximize the performance of your plant, facility, fleet, or critical infrastructure. We provide a variety of technical services and products to help you get the most from your physical assets and fleets at the lowest possible cost. For nearly 40 years, since our founding in 1975 as Pulau Electronics, we have steadily grown and developed a diversity of expertise and experiences as PULAU Corporation, providing a full range of services to a multitude of Government customers located throughout the United States and Overseas. From a small manufacturing and repair operation to today’s diverse, highly responsive company, our outstanding level of customer care and support clearly demonstrates PULAU’s ability to effectively set up and manage contracts, from initial award to program close out. PULAU’s team of dedicated managers, experienced supervisors, and technical professionals work closely with our customers to help define requirements, set expectations and develop cohesive plans, policies and procedures to ensure mission success.